Of course everyone knows what a Mellotron is (no, everyone doesn't), but allow us to briefly explain anyway. The Mellotron is a keyboard hooked up to analog tape -- press a key and the instrument plays a corresponding section of sound on the tape. It's the original sampler, popularized by the Beatles, the Moody Blues and a handful of other bands in the 1960s and '70s. And now, it's back with a modern twist. The Crudman, from Brooklyn's Crudlabs, isn't exactly a Mellotron, but it operates similarly by connecting a keyboard to a hacked Walkman. Users can even chain together a few Crudman units for polyphonic sounds. You could even call them polyphonic sprees, if you're feeling saucy. Despite the similarities to the Mellotron, Crudlabs wants to make it clear that the Crudman is not a Mellotron. 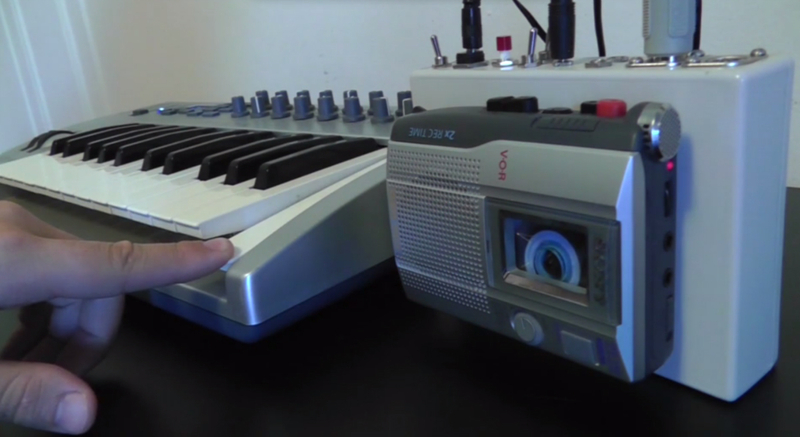 "It is a monophonic, tape-based instrument designed around a single cassette Walkman," the Crudlabs site says. "No, it is not designed to replace a Mellotron and it does not sound like a Mellotron. It's its own thing which has its own unique sound and features. It is a new instrument and a tool to find new and interesting musical and atonal sounds using the unique lo-fi characteristics of cassette tapes." As for those unique sounds, hear for yourself below.